Neurogene is breaking into gene therapy with $68.5 million in new funding to support research on experimental treatments for rare, genetic brain disorders, the first of which could start human testing next year. So far, New York-based Neurogene has disclosed two of its preclinical programs. One is a treatment for aspartyglucosaminuria (AGU), an inherited enzyme deficiency that leads to progressive cognitive decline. The other is for Charcot-Marie-Tooth disease (CMT4J), which is caused by mutations to the genes that produce proteins key to nervous system function. Gene therapies aim to deliver a functioning copy of a gene to replace a mutated or dysfunctional gene. Like many other gene therapy developers, Neurogene says it will use an engineered adeno-associated virus (AAV) to deliver the functioning gene. The treatment is meant to be long-lasting, perhaps even permanent. 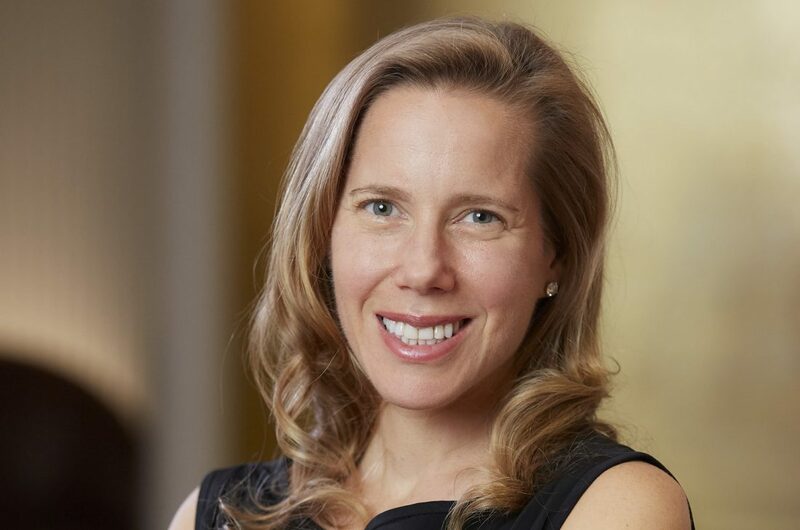 Neurogene was founded last year by president and CEO Rachel McMinn (pictured above), a former executive at New York-based liver disease drug developer Intercept Pharmaceuticals (NASDAQ: ICPT). McMinn says the progress that’s been made by companies in gene therapy research, as well as her personal interest in neurological disorders, pushed her to form Neurogene. “I really wanted to found a company that would bring life-altering medicines to people with neurological diseases,” McMinn says. Like many gene therapy companies, Neurogene’s programs trace their origins to academic research. The only university partner that McMinn would disclose is University of Texas Southwestern (UTSW) Medical School in Dallas. Neurogene is working with Steven Gray, a UTSW professor whose expertise includes AAV gene therapy. The university has a number of gene therapy programs for rare diseases that have produced “compelling” preclinical data, she says. Last week, Neurogene announced preliminary data for its therapies from mouse studies. In the AGU study, the company said its therapy resulted in a near complete elimination of toxic substances in tissues and body fluids. In the CMT4J study, Neurogene reported improvements in survival, motor function, and nerve function. The data have not yet been published or peer-reviewed. Besides the AGU and CMT4J programs, McMinn won’t disclose what else Neurogene is working on, other than to say that the research is focused on neurological disorders, primarily in children. While Neurogene is working with UTSW, McMinn says some of the company’s research comes from Grey’s earlier work at the University of North Carolina at Chapel Hill, where he was a researcher at the university’s Gene Therapy Center. She declined to say where the company’s AAV technology comes from. McMinn says the funding will be used to continue preclinical development of “several programs.” The company also plans to build a facility for manufacturing the viruses used in its gene therapies. That facility will be in Houston, where the company has already hired some staff, McMinn says. Investors in the new financing, a Series A round, include Samsara BioCapital, EcoR1 Capital, Cormorant Asset Management, and Redmile Group.